ATTORNEY GENERAL Faris Al-Rawi said “zessers” sporting gold chains will feel the brunt of a bill on unexplained wealth, but Opposition Senator Wade Mark said wealthy property owners should instead be targeted. The Senate today debated the Civil Asset Recovery and Management and Unexplained Wealth Bill, 2019, as amended by the House of Representatives last week. Al-Rawi was first to refer to zessers, a modern version of a traditional TT character “sagaboy” and a man of leisure who flaunts gold chains, whose lifestyle has been popularised by singer Trinidad Ghost in his viral hit Zesser. The AG began by saying the $500,000 threshold inserted into the bill in the Lower House, belatedly, would now be reduced for cases of gang activity. “We are absolutely intent on taking, via due process, the fighting chance against long gold chains, cars that are worth significant value, against people who are generally seemingly unemployed and who have unexplained wealth," Al-Rawi said. “In our country, where we can be celebrating a song called the Zesser and glorifying a zesserman with a Glock and a Beretta and enticing young people to join gang activity because of the bling, we intend to take the bling away via the court considering if you can’t explain our wealth. Otherwise the AG revealed that he learnt that within his ministry hangs a $1 million painting, sent by the US authorities under the Proceeds of Crime Act. He vowed it would not hang in his office, but be lodged with the Civil Asset Trustee being set up under the bill. Mark then examined the zessers. "All the AG is concerned about is those with bling, but not those in jacket and tie.” Recalling the novels A Tale of Two Cities and The Prince and the Pauper, Mark said, “This legislation is Sea Lots versus St Clair. Anybody in Sea Lots who has a gold chain will now be under suspicion and the police will come after them because they just suspect.” He said the bill lets some be charged on mere suspicion. Mark said the Government is obsessed with zessers, blingers and Sea Lots, and rather than bring legislation to further enslave the poor and oppressed should instead fix crime by reducing inequality and increasing economic production. “The AG was very short on focussing on white collar criminality,” Mark said. 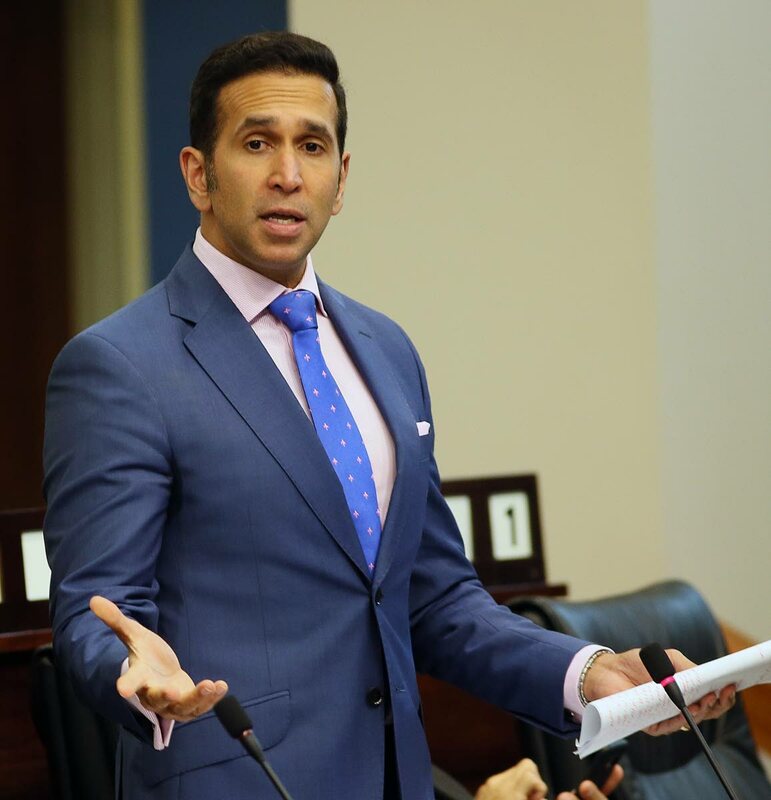 Earlier Al-Rawi said the bill does not need a three-fifths majority, citing local cases of Surat, Maharaj and De Freitas plus the laws of the European Union, Australia, Canada and several Caribbean countries. Al-Rawi assured the bill would kick in only if a subject is already being investigated, that a forfeiture order would only be done inter partes (that is with all parties present in court) and that a forfeiture was a gradual process through several steps. The AG said the bill was the “most important” he had ever seen in Parliament, and provided a codification of several existing bits of legislation. Reply to "Faris: We’ll take bling from zessers"